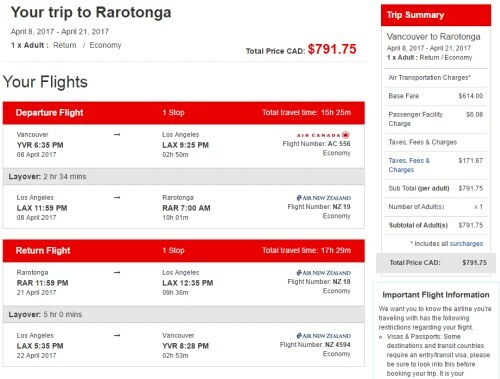 Air New Zealand has dropped the price of their flights from Vancouver to Rarotonga, Cook Islands in the south Pacific down to $691 CAD roundtrip including taxes. 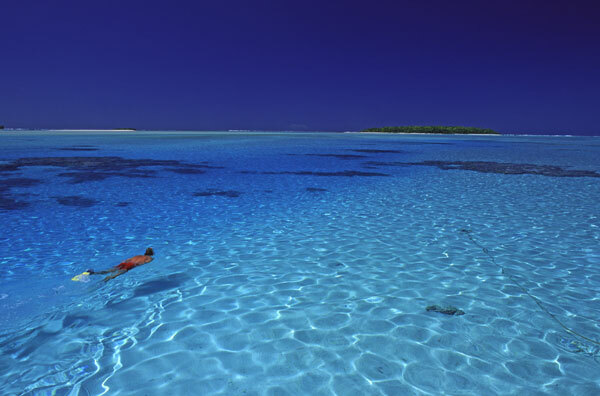 This is 40% below the typical bottom price from Vancouver to the Cook Islands. You should see flights from Vancouver to Rarotonga for around $791 CAD roundtrip including taxes. You can still find the Oct and Nov 2017 flights in their system though. I've provided some direct search links below. And if you call them, they should still be able to book the dates in late October and the first part of November and give the additional $100 discount. 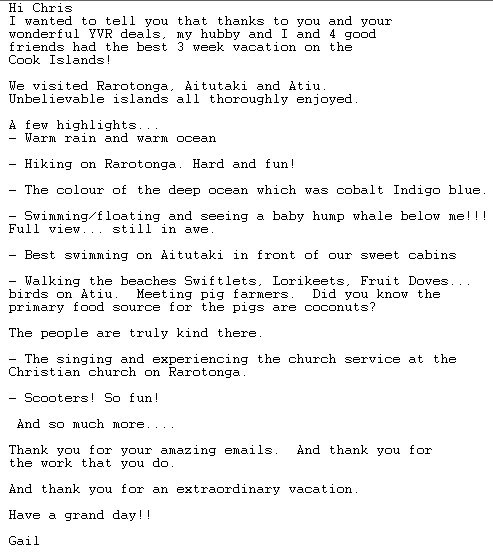 2 Responses to "Vancouver to Rarotonga, Cook Islands - $691 CAD roundtrip including taxes"
Nice one Manny! Lucky kids!